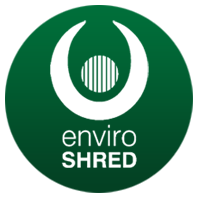 All of the high quality office paper collected by us is shredded, bailed and sent back to paper mills for re-processing. We don't claim that recycling paper saves trees. Most trees used to make paper have been cultivated as a crop to supply wood for the manufacture of paper, with more trees being planted to replace the ones that have been harvested. However it is far more beneficial from an environmental point of view to recycle high quality paper such as this compared to the alternative methods of destruction such as incineration or landfill.